Andrew has acquired a wealth and breadth of experience in all areas of property, particularly commercial and residential. His advice is informed by a knowledge of and experience in other areas of the law, including probate, administration of estates, inheritance tax planning and general problem solving. Andrew acts for many loyal clients including trusts. Andrew qualified as a solicitor in 1974. 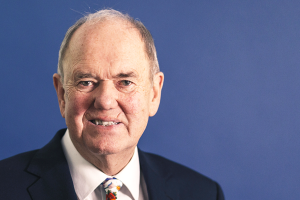 He founded Pinkerton Leeke & Co Solicitors in 1976 before the office merged with Star legal in February 2019.